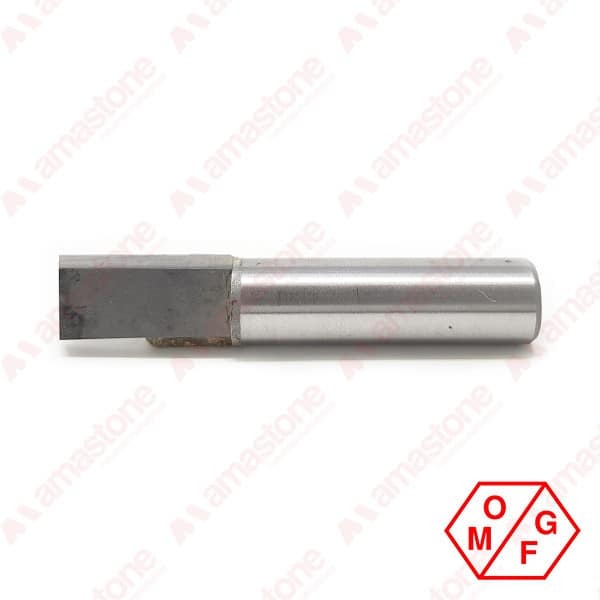 This is also called CNC Flat router bit for marble and granite working. It’s suitable for carving the edges when producing kitchen tops because it is used to rectify the cut in order to achieve a perfect 90° angle. Thanks to its flat shaped tip it gives you clean cuts also in the sides without leaving any signs typical when using an electroplated tools. The shank’s diameter of this carving tool is 10 mm and it’s possible to choose between the 2 versions holed and not-holed (the granite carving tool is available only in holed version). 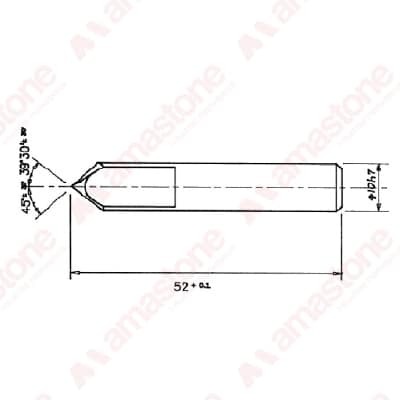 The tip of this carving tool is in Widia for marble working, and in Polycrystalline for granite working. Maximum Feed rate: 60/80 mm per minute. Hello at this moment we have 3 units in stock (not holed version). How many units do you need and which type (not-holed or holed)? I will check if we can have them in a shorter time. From: 20,32 € From: 19,30 € exc. VAT Sale!